45 year old Caucasian woman seeks improvement of the appearance of her legs before her trip to Europe. Spider veins appeared 17 years ago after her first pregnancy and had grown ever since significantly. 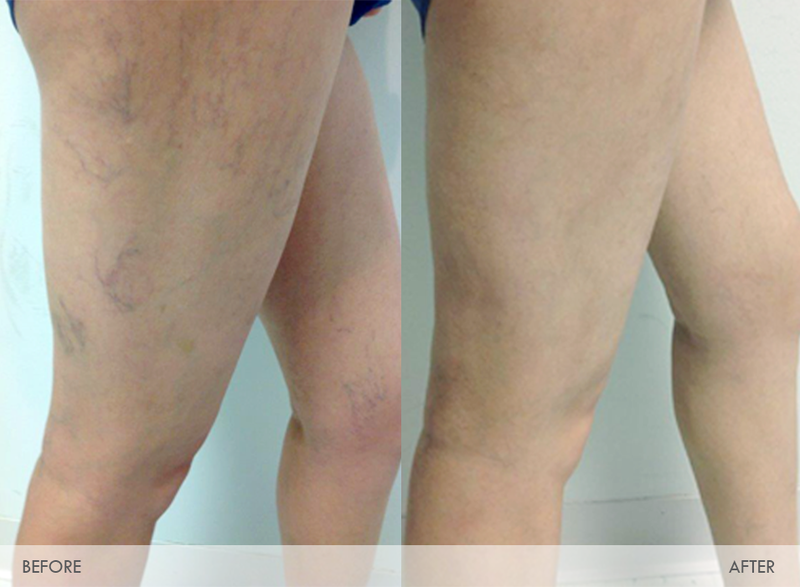 Patient underwent one session of surface sclerotherapy combined with surface radiofrequency ablation of spider and reticular veins at VeNA clinic. Results take 6 weeks after one session of therapy. As the patient states, she was able to wear shorts for the first time in 17 years.